Sunday, May 19, 2019, 8 a.m.
Commencement offers us an opportunity to reflect upon the past and to look to the future. It is a time for families, friends, and all members of our college community to recognize and honor the achievements of our graduating students. 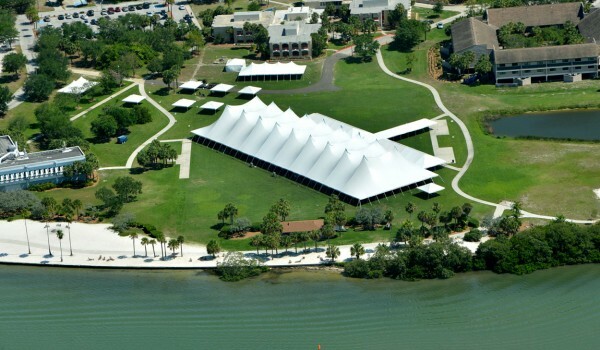 I invite one and all to join in celebrating the graduation of the Eckerd College Class of 2019. 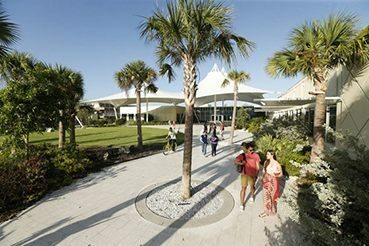 Students will receive their degree Sunday, May 19, 2019 at 8 a.m. on the beautifully located Eckerd College South Beach Field, surrounded by Florida palms and gorgeous waterfront views. Commencement takes place right on campus at beautiful South Beach. 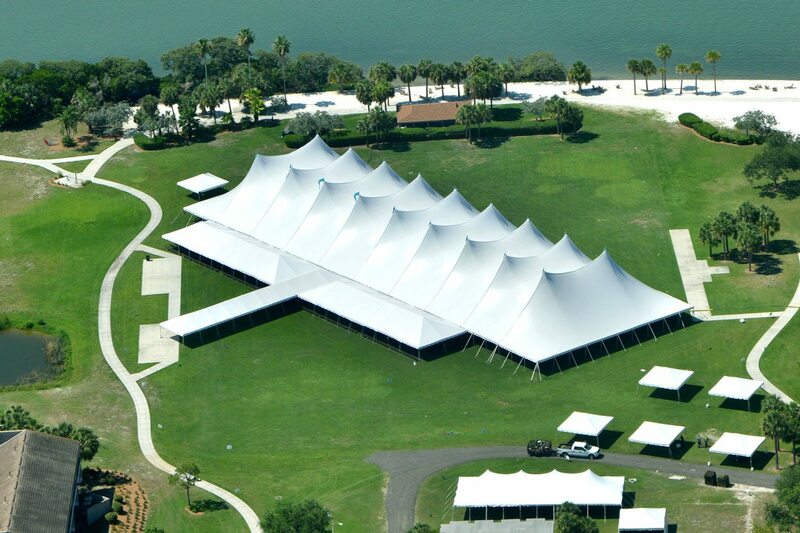 With the stunning bay as the backdrop, families gather beneath an impressive tent to celebrate this wonderful occasion. 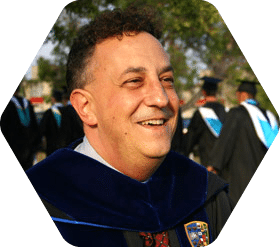 President Eastman will offer his major address to the Class of 2019 during this ecumenical service. All graduates and their families are encouraged to attend. Graduates and their guests are invited to this dessert reception hosted by the Office of the Dean of Students. Reservations not needed. Students: If you have not yet ordered your commencement regalia, please contact the bookstore. The caps, gowns, and hoods worn at college and university functions date back to the Middle Ages. Academic regalia for students will include a black baccalaureate gown, a mortar board with a colored tassel reflective of the student’s home collegium, and a baccalaureate hood. 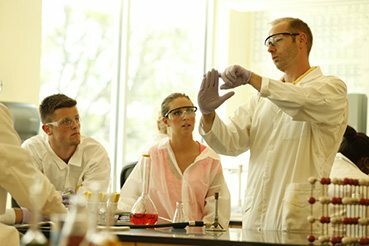 The hood for the baccalaureate degree is of a size specified by the American Council on Education. It is lined with the chevron of Eckerd College, that is with white and teal satin and it is trimmed with velvet the color of which is reflective of the degree conferred. The hood for the Bachelor of Arts degree is trimmed in white velvet while the hood for the Bachelor of Science degree is trimmed in gold velvet. It is important to note that the color of the velvet trimming of a hood is determined by the degree conferred, rather than by the students major. Hence, the bachelor of arts degree is trimmed in white irrespective of the student’s major field. The gown for the doctorate has broad velvet panels down the front and three velvet bars on the large, bell-like sleeves; the gown is usually black but when the degree is awarded by certain schools the color of that institution is reflected in the gown. The gown for the master’s degree has short sleeves. Caps may be of the mortar board style or of velvet; a gold tassel indicates a doctor’s degree. The hood gives color and distinction to the academic costume. The hood–a black shell-like affair of varying size for the three degrees and material to match the gown–is silk-lined stressing the colors of the institution conferring the degree. The hood is then bordered with velvet of the color signifying the respective fields of learning. It is important to note that the field of learning having prior mention in the conferment of the degree, and not the department governing the major work, determines the color that is proper for the velvet of the hood. The doctor of philosophy degree requires blue velvet irrespective of the major field. 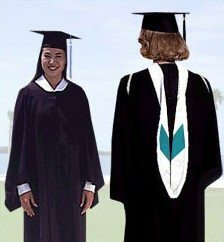 If more than one degree is held, the gown and hood of the highest degree are worn. 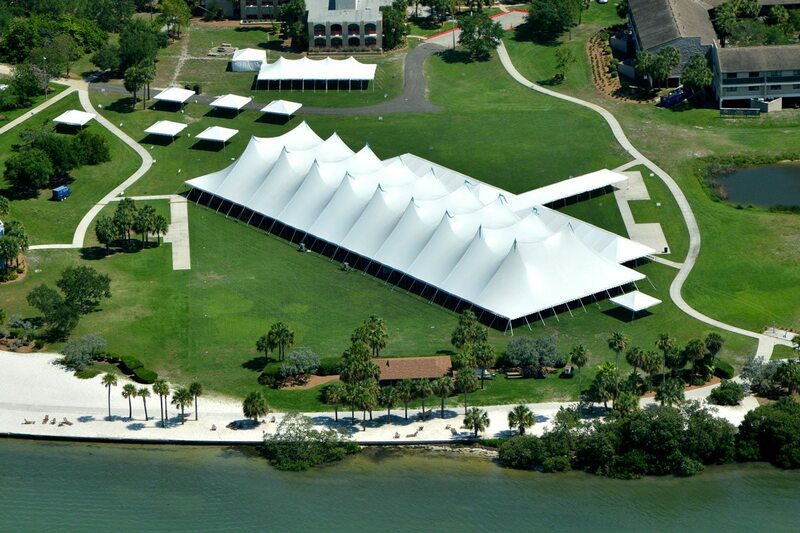 We are excited that our Commencement ceremony offers us an opportunity to continue the Eckerd College tradition of holding Commencement on campus and outdoors. 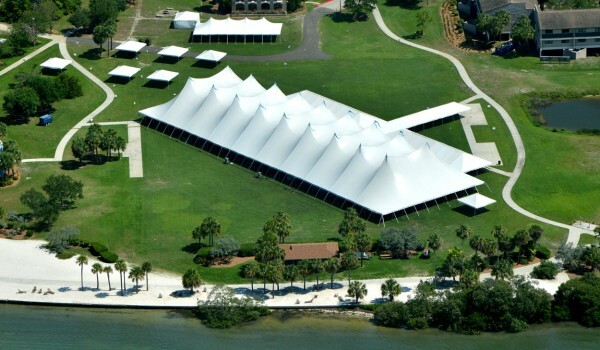 We have contracted with an event company to erect a dramatic 340′ x 100′ open, white tent that will accommodate up to 5,000 people. 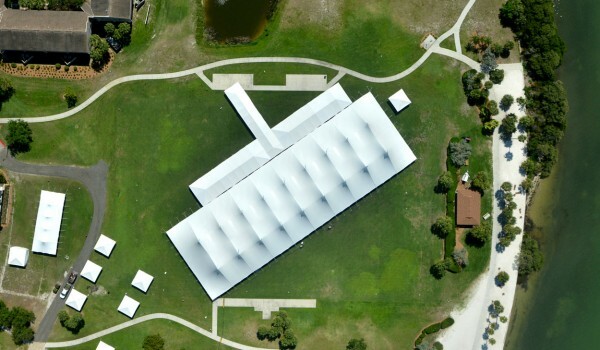 This will allow for unlimited seating for families and friends. 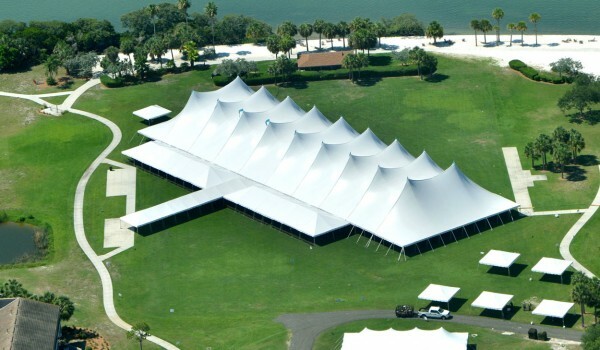 The tent will be cooled by a series of quiet fans. 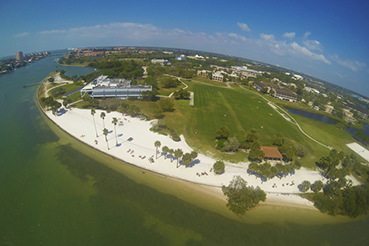 South Beach Field was chosen because it is one of the most beautiful areas of our campus and because it offers a spectacular vista of Boca Ciega Bay as a backdrop for the colorful rituals of our Commencement ceremony. A professional photographer will capture each graduate’s conferral. Ordering information for conferral photographs will be available at the ceremony. The ceremony will be broadcast live on YouTube and subsequently archived on our Commencement playlist. Parking will be available on campus. Wheel chair access to the field will be available. During the procession and ceremony, guests are asked to turn off their cell phones, and remain in their seats. Pastries and coffee, beginning at 7 a.m., will be served adjacent to the field. Complimentary water will also be available for guests throughout the ceremony. 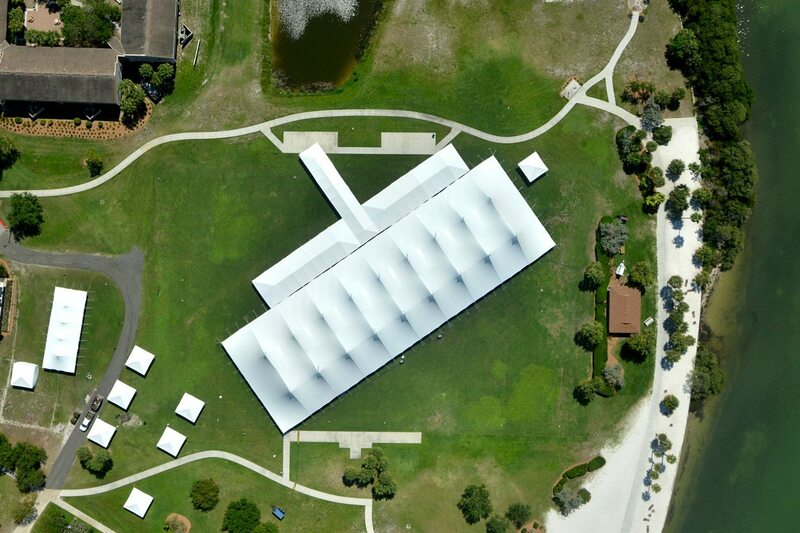 Bathroom facilities will be available near South Beach Field. The procession of students will begin at 8 a.m. Please be sure to be in your seats by this time to see the entire processional.